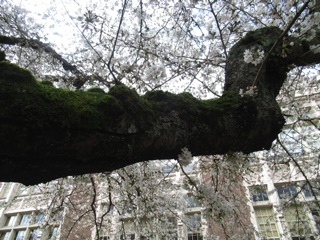 We had been following the action on the webcam. 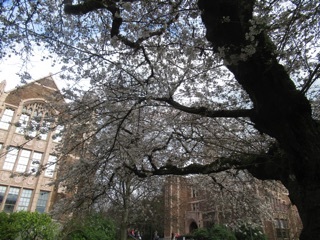 The buds were starting to open. It was too much to resist. 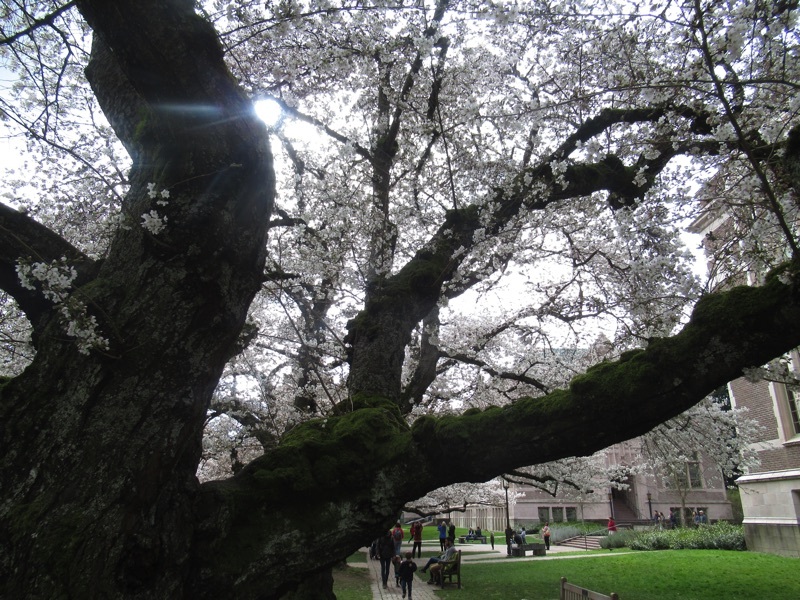 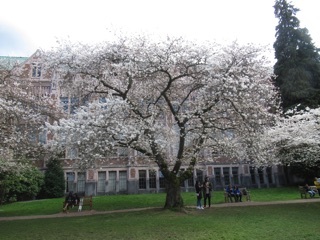 We Kalebergs just had to be in the quad where it happens, so we headed into Seattle, up to the University of Washington and onto the quad where the cherry trees were at peak blossom. These were big old trees, gnarly and dark with a cloud of pale pink flowers about them. 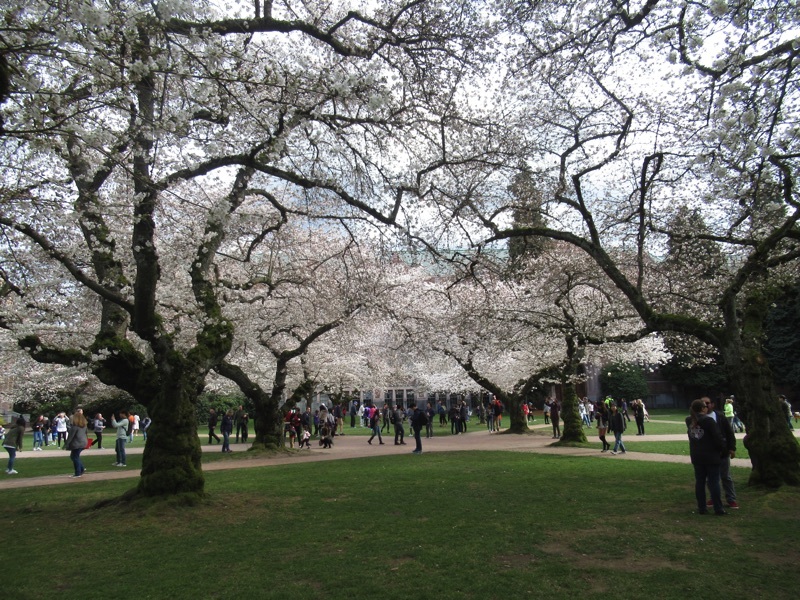 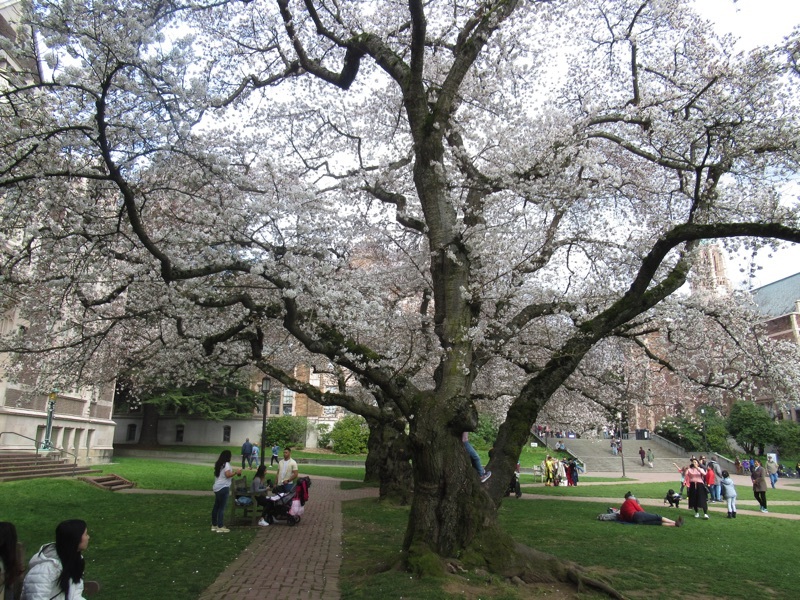 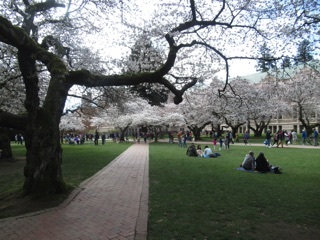 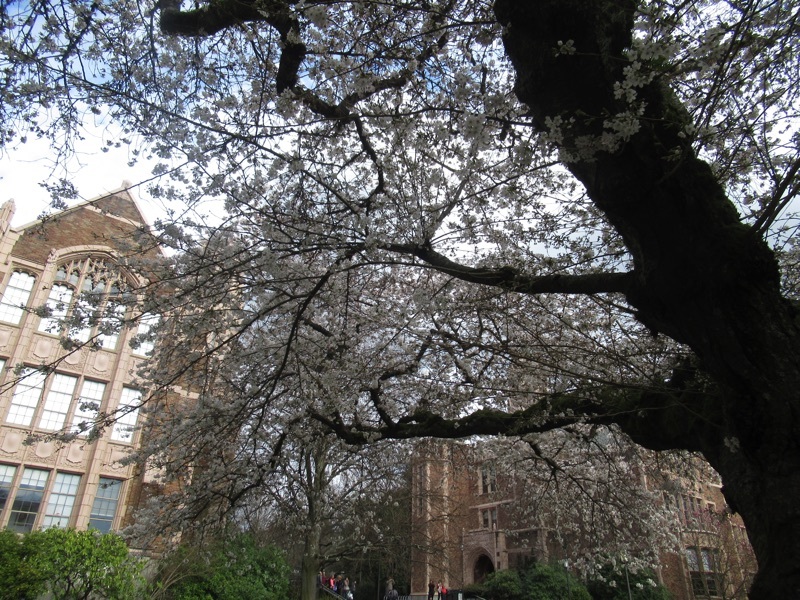 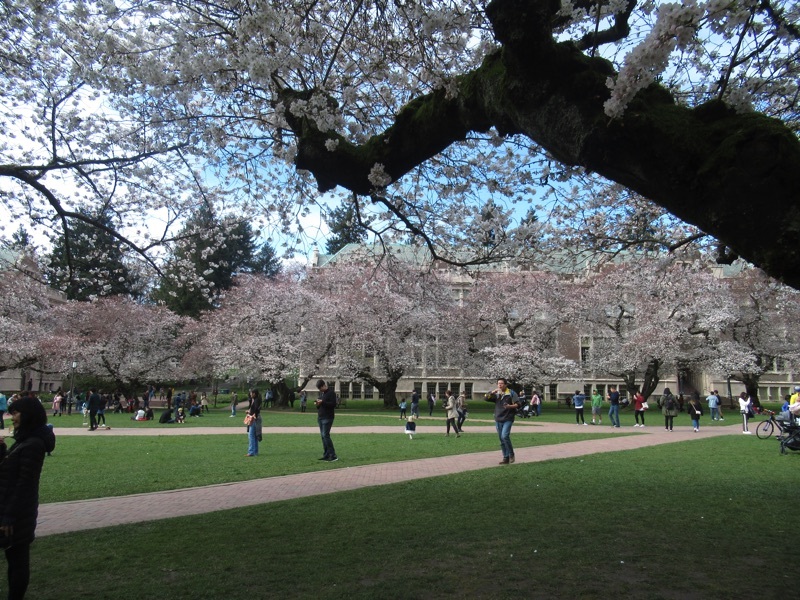 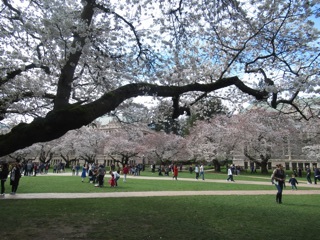 The quad was full of people there to enjoy the blossoms and the late start of spring. 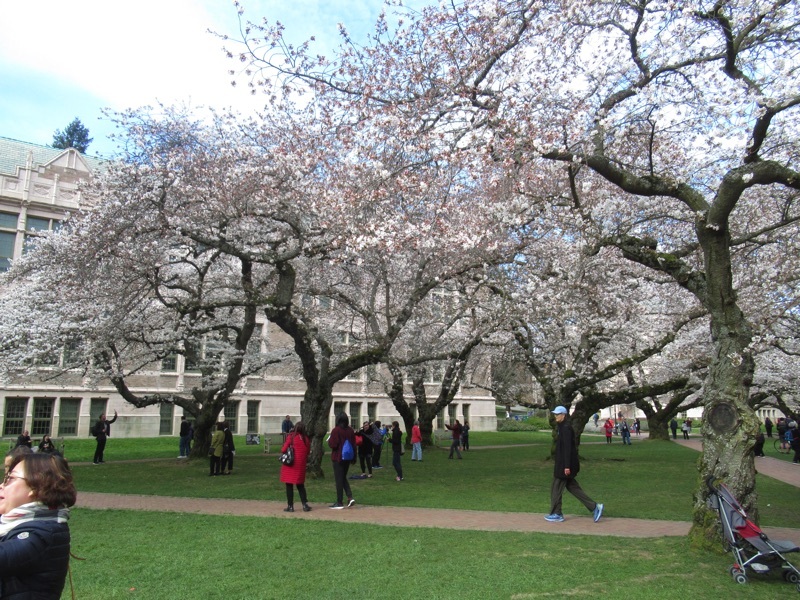 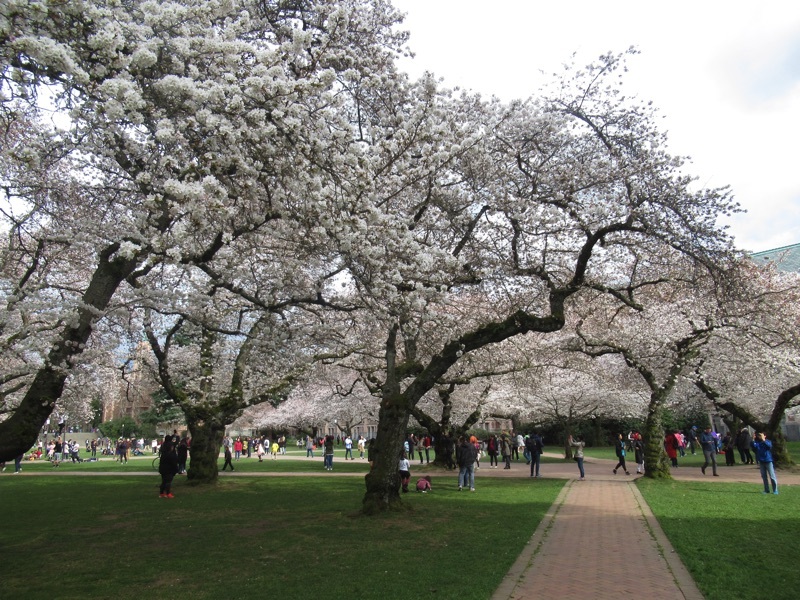 Did we mention cherry blossoms? I guess we did mention cherry blossoms.